Homeowners are cleaning up after an afternoon storm. 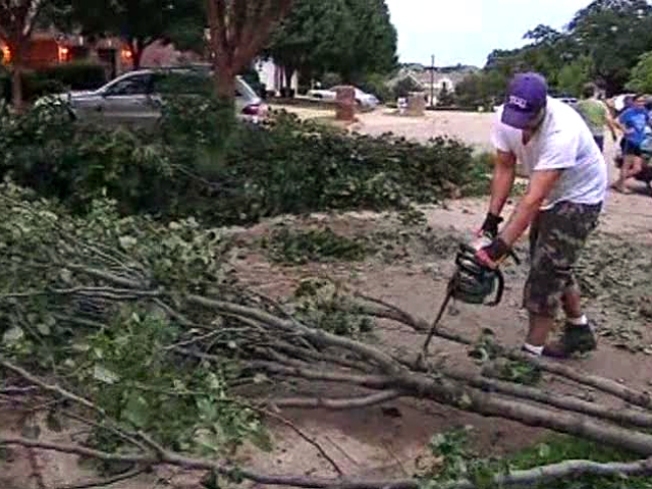 Corinth homeowners are cleaning up after an afternoon storm that snapped trees, downed fences and knocked out electricity to thousands of people across the area. “The wind went from this way to that way, and everything just started flying,” resident Kim Holtzman said. According to Oncor, more than 15,000 people across Tarrant and Denton counties were without electricity Friday night after the powerful storm fired up at about 5 p.m.
Corinth homeowners are cleaning up after an afternoon storm. Corinth resident Heidi Peterson lost her electricity and her Bradford pear tree, but she didn’t lose her faith. “I’m very lucky, very lucky," she said. 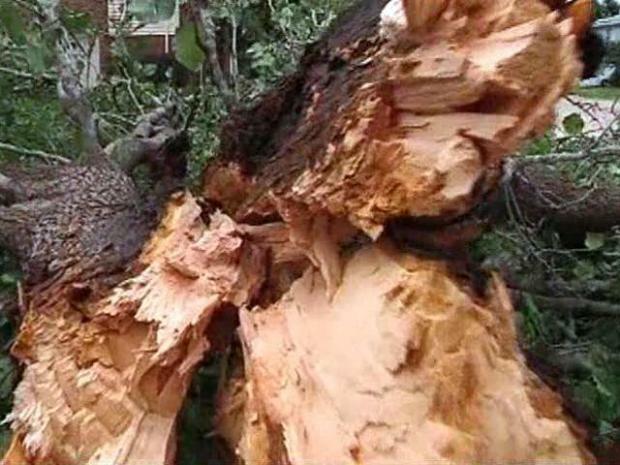 "That tree could have fallen on the house. Instead, it's just a little damage." Officials with the Red Cross were in Corinth on Friday night to identify any structural damage and help families who may be faced with a long-term power outage.